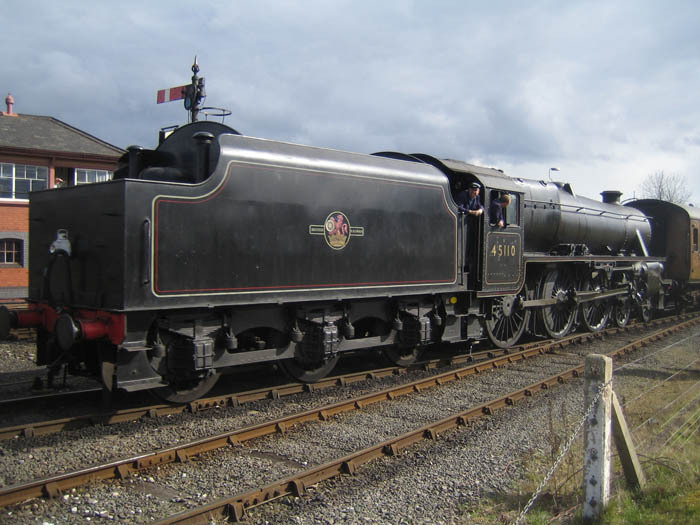 Stanier designed "Black 5" no 45110 at Kidderminster on the Severn Valley Railway in March 2008 reversing in with a service train of Gresley teak coaches from Bridgnorth. Photo DGC. There are photographs of all the LNER Pacifics accessible by the above menu.